Large Decking and canopy installation. For this project the client’s request was for a large decking area and easy access in and out of the property due to the large step up from the garden into the property also easy access down to the main garden so we installed a small staircase within the deck. The client also requested a form of shelter due to the unpredictable great british weather. We decided to go with a large canopy and integrated this with the decking installation. We was very happy with the final results as this space will now provide a fantastic entertainment area for family and friends and also a lovely place to relax. 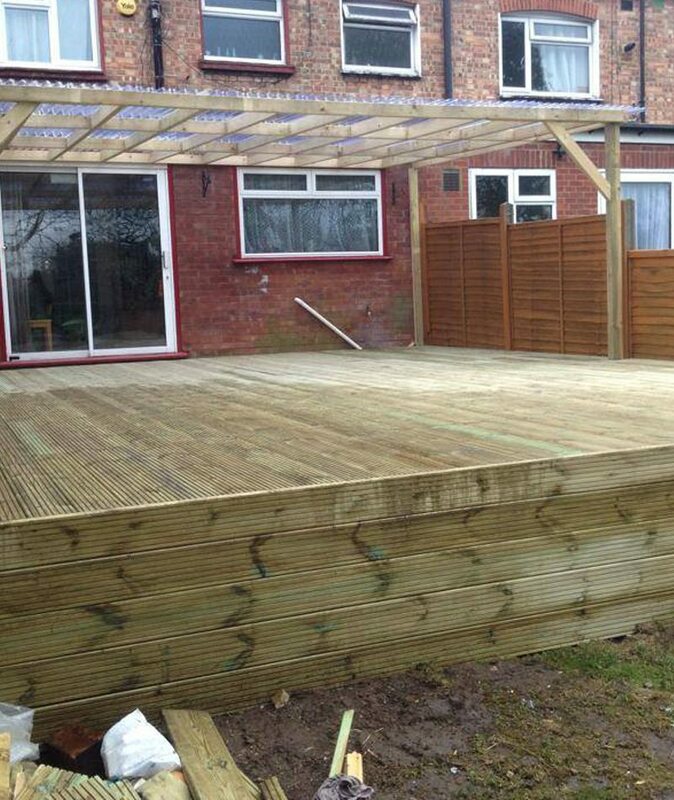 Overall the client was very happy with there Large Decking and canopy installation.